Home>Music> Mike Will Made-It Announces Rae Sremmurd's "Sremm Christmas"
Rae Sremmud had another successful year, but it looks like we'll be getting new music from them before the end of the year. According to Mike Will Made-It, the hip-hop duo are gearing up to drop a little something for the holiday season. After releasing three incredible projects over the years, Rae Sremmurd is getting ready to finally bless fans with a Christmas album. Mike Will Made-It took to Twitter to announce Sremm Christmas yesterday and today, he confirms that it will arrive this Friday, Dec. 21. Hopefully, the Christmas album will include the Christmas carol Swae Lee teased last year that got the internet going crazy. With a Sremm Christmas on the way, Mike Will Made-It and Rae Sremmurd are capping off an incredibly productive year. They delivered the long-awaited third LP from Rae Sremmurd, Sr3mm which also included solo projects from both Swae Lee and Slim Jxmmi. 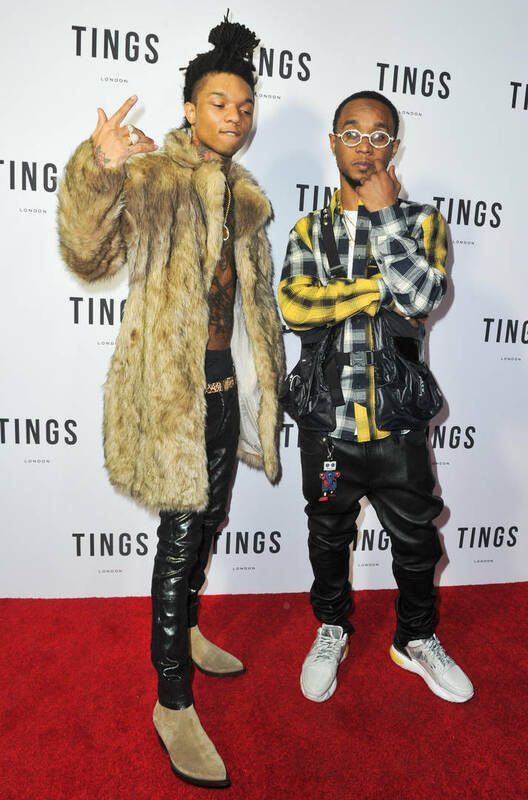 Rae Sremmurd's been pushing the album all year and co-headlined the "Dazed & Blazed" tour with Wiz Khalifa over the summer. As for Mike Will, he kicked off the year with Trouble's debut album Edgewood which was recently re-released with five additional tracks. Mike Will also curated and executive produced the Creed II OST which featured Lil Wayne, Kodak Black, Kendrick Lamar, J. Cole, and several other heavy-hitting artists. Keep your eyes peeled for Sremm Christmas. LeBron James Wants Anthony Davis On The Lakers: "That Would Be Amazing"
MUSIC Mike Will Made-It Announces Rae Sremmurd's "Sremm Christmas"